We live in a time where more and more goods are purchased online. May it be your airline ticket or the diapers for your newborn, many things are often cheaper and more conveniently purchased online. As comfortable it is for the customer buying things this way, as challenging it can be for the seller. They need to have an online presence that is easy to use and need to have all goods in stock to sell and send them quickly. This means that selling physical products requires sufficient storage space on-site, people that handle picking, packing and shipping and someone that handles returned goods. All this factors can sum up to a costly venture, especially when you don't have any infrastructure from other sales channels already. This is where YellowCube comes in handy. 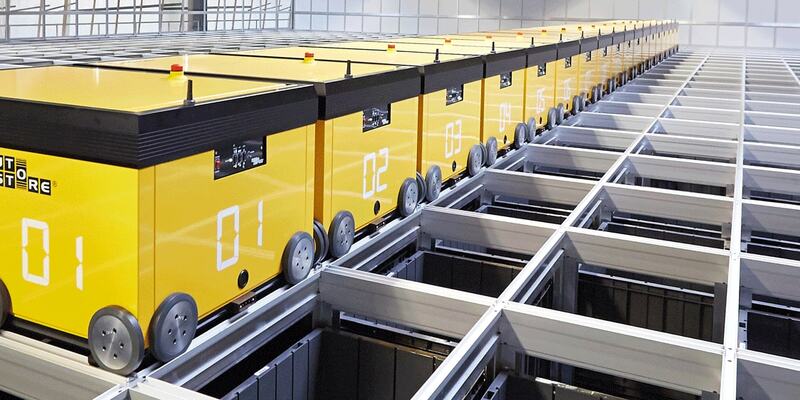 YellowCube is a fulfillment service offered and run by Swiss Post. But what is a fulfillment service anyway? In the case of YellowCube it means everything to do with the storing and shipping of the products you sell on your store. This means receiving and storing of the products, handling of the inventory, picking, packing, shipping and handling of returns. How to implement it into your web shop? So far so good, but how does this translate into real life? 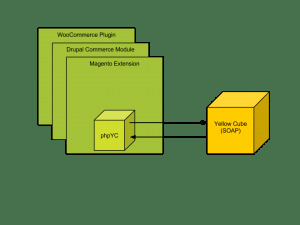 Liip has, in close collaboration with Swiss Post, developed a PHP-YellowCube-SDK and also the integration for Magento and Drupal web shops. The PHP-YellowCube interface provides an object-oriented wrapper to the SOAP based interface provided by Swiss Post. The code is readily available on Github. Please feel free to contribute to the PHP-YellowCube-SDK, as well as the Magento extension or the Drupal extension. Now that we know about the SDK, we need to know how the basic process works. I want to show you what needs to happen in order to implement YellowCube successfully into a web shop. The process is agnostic to a certain integration, so I won't go into details how it is integrated in a specific shop extension. I will explain the basic process, which applies to all web shop integrations in the same manner (more or less). The flowcharts below show you the process and the different “actors” involved (swim-lanes). 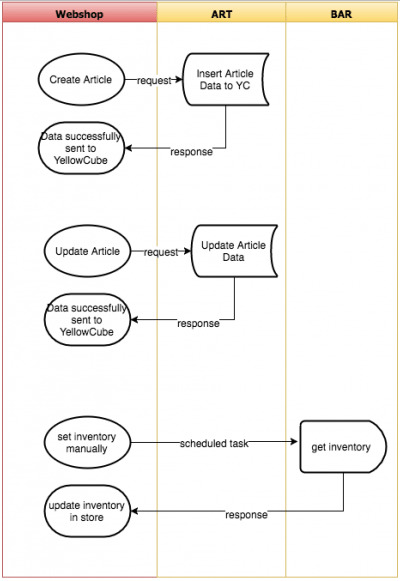 The red coloured lanes represent the web shop and the yellow lanes show the services provided by YellowCube and exposed by our SDK. First we need to have products in our web shop. For simplicity lets assume that all the products in our web shop are products handled by YellowCube.